The worldwide market for casinos and gaming is a part of the global recreational activity industry. Lotteries represent the leading segment of the global casino and gaming industry (excluding the “other” segment), generating more than 29% of market value. Gaming revenue varies greatly depending on each region, with certain nations putting a ban on gambling while others allow it. The gambling sector encompasses purchasing lottery and raffle tickets, casino table gambling, football pools, and Grand National betting, reports Koncept Analytics. Despite its illegality in certain regions, gambling contributes significantly to the national economies through tax revenues. The sector is little affected by economic recession and is also an important employer. Xerfi classifies the main gambling companies into four profiles, namely resort-based casino groups, state lotteries, gaming machine operators and online players. Competition between players is partly limited by state-based regulations. This also insulates industry players somewhat from illegal gaming operators. The global gambling industry is dominated by developed nations, with the US, the EU and Japan combined accounting for close to 70% of the overall market. The gambling sector is expected to record significant growth in emerging markets like Asia and Latin America over the coming years. Technology will continue to play a pivotal role in developing the global gambling industry, with internet gaming and mobile gaming reaching an ever-expanding customer base. Digital gambling, which includes mobile, digital TV-based and online services, continues to attract a rising number of customers. Obstacles to market entry include strict regulation throughout this highly competitive market segment. Operators are focusing on M&A to boost revenue and limit risk, reports Business Insights. Gambling operators are also concentrating on moving into the digital gambling domain to offer mobile and online services. Asia’s gaming sector is recording strong growth, prompting US and UK operators to move into this region, reports AM Mindpower Solutions. Macau, in particular, is recording strong regional expansion. Macau’s gaming sector is expected to maintain a yearly growth rate of 16% thanks to the opening of new casinos, increased economic growth and better global recognition. The UK online gambling sector continues to record climbing turnover due to bookmakers launching applications for mobile devices. It remains to be seen whether state laws concerning online gambling products will be changed. New regulations would mean operators need to acquire a license to offer online gambling products. Overseas operators would also have to apply for a license to sell their gambling products in the UK. 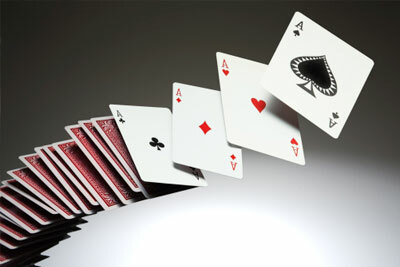 Leading players currently operating in the global casino and gambling industry include Bwin Partygaming, Las Vegas Sands Corporation, Betfair, Caesars Entertainment, La Française Des Jeux, Maruhan, Lottomatica, MGM Resorts International, Lucien Barrière, and International Game Technology. The global casinos and gambling industry is expected to continue growing over the coming years due to product innovation that will allow operators to benefit more from technological advancements and mobile gaming.